Quang Ninh (VNA) – The northern coastal province of Quang Ninh welcomed 86,000 tourists, including 19,000 foreigners, during the three-day National Day holidays from September 1-3. It also reported that the local tourism sector earned around 170 billion VND (7.28 million USD) during this occasion. The number of tourists staying overnight reached 40,000, and the rate of occupancy at local three- to five-star hotels surpassed 80 percent. 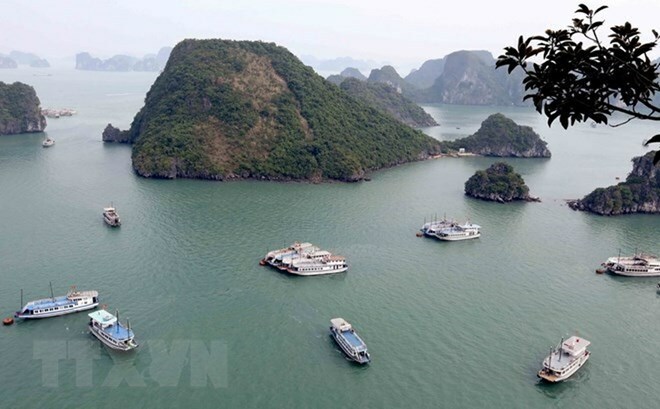 Also during the three-day period, 1,400 ships took more than 30,000 tourists, including 12,000 foreigners, on sight-seeing tours on Ha Long Bay – a UNESCO-recognised World Heritage Site in the province. Together with the Bach Dang bridge and Ha Long-Quang Ninh Highway, Van Don International Airport, which will begin serving commercial flights in late 2018, is also expected to help attract more foreign holidaymakers to the province. Last year, Quang Ninh received 9.87 million tourists, including 4.28 million foreigners, up 18 percent and 23 percent respectively. The tourism sector pocketed over 17.88 trillion VND (786.9 million USD), up 30 percent compared to the previous year, and contributed 3.2 trillion VND (140.8 million USD) to the State budget, accounting for 11.9 percent of the local budget collection.